I seriously have this love affair with horizonal anything…. 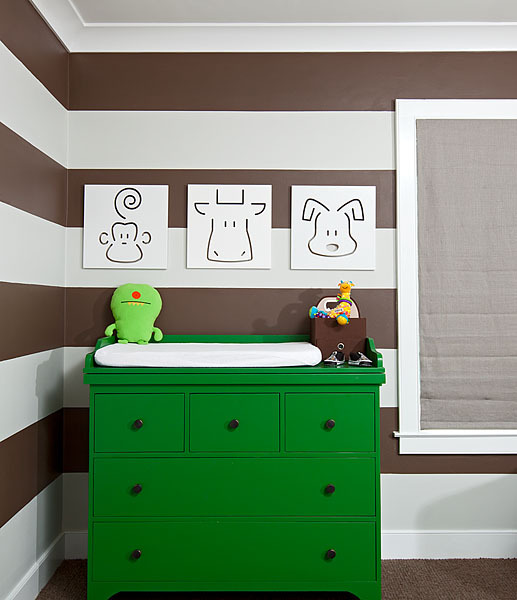 wood, painted stripes, and fabric. On top of that I adore Kelly green. So there you have it, this room says it all! Cute little Hand knit BlaBla guys hanging off the crib!! 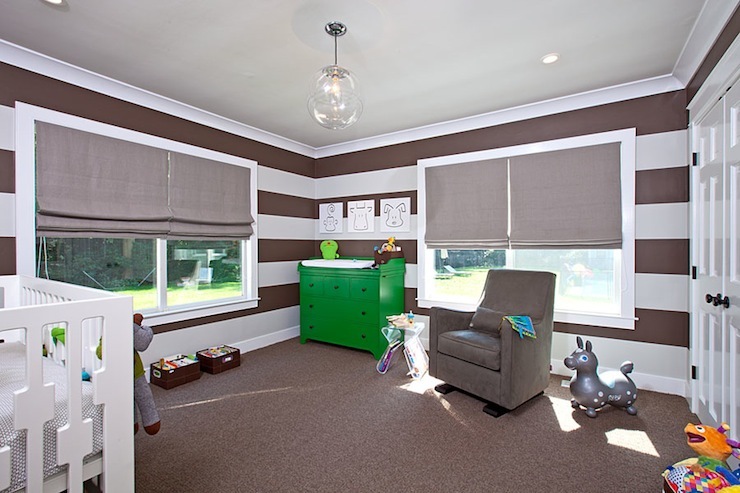 Cute drapes, dresser and lamps!